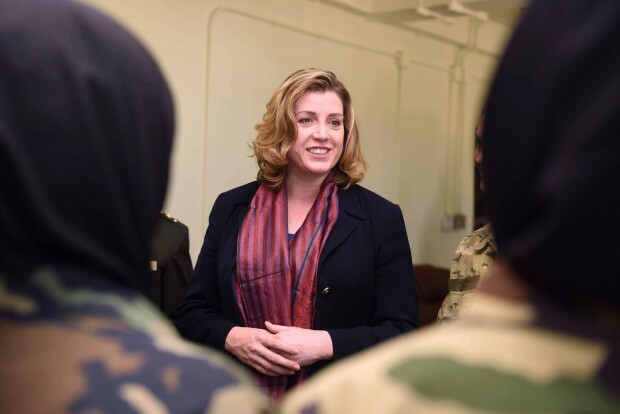 Minister for the Armed Forces, Penny Mordaunt, has joined colleagues from across Defence in becoming a Stonewall ally. Britain’s leading LGBT charity Stonewall is holding its first workshop today for Ministry of Defence staff who identify as allies to the LGBT community. The ‘straight ally’ programme was designed to help senior civil servants and military chiefs - who believe that lesbian, gay and bisexual people should experience full equality in the workplace - become inclusive role models. 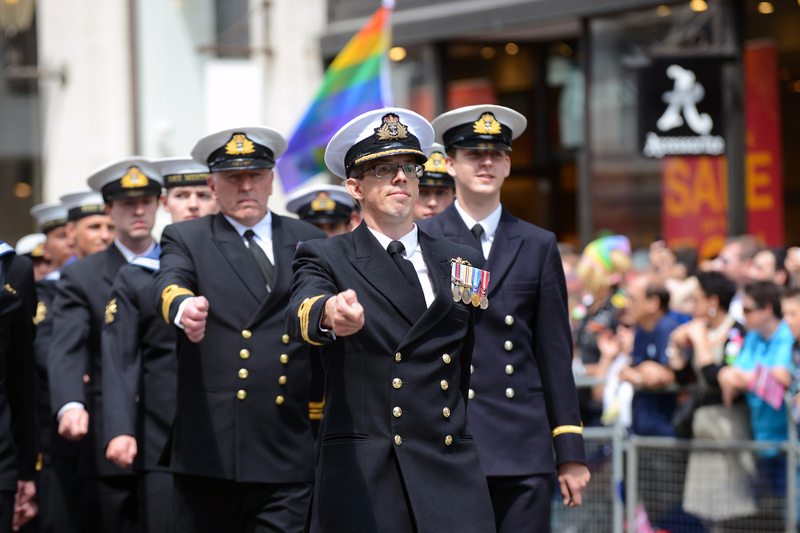 The Royal Navy contingent march in this year's London Pride parade. Just 15 years after the ban was lifted on gay men and women serving openly in the military, the Armed Forces have shown great progress in advancing fair treatment of their LGBT staff. This year all three services were recognised by Stonewall as top employers for lesbian, gay and bisexual staff. And last month, in celebration of London Pride, more than 200 service personnel and civil servants marched together whilst the rainbow pride flag flew over the Ministry of Defence as a public declaration of support for the LGBT community. Allies have a critical role to play in creating LGBT-friendly workplaces. Stonewall Top 100 employers routinely tell us that allies have been key to advancing fair treatment of their lesbian, gay, bisexual and transgender staff. Their involvement – often precisely because they’re not LGBT themselves – can have a transformative effect on the culture of an organisation and the workplace experience of staff. We are absolutely committed to creating a more diverse workplace in all areas across Defence. We are really proud of the significant progress that has been made over a comparatively short period of time in our recent history – from changes in the law to allow homosexual men, lesbians and transgender personnel to serve openly in the Armed Forces in 2000, to London Pride in 2008 when all three Armed Services marched in uniform for the first time, and to now with all three services featuring in Stonewall’s Top 100 Employers list. But we must continue to create the inclusive workplace where all LGBT staff feel able to be themselves in the workplace. 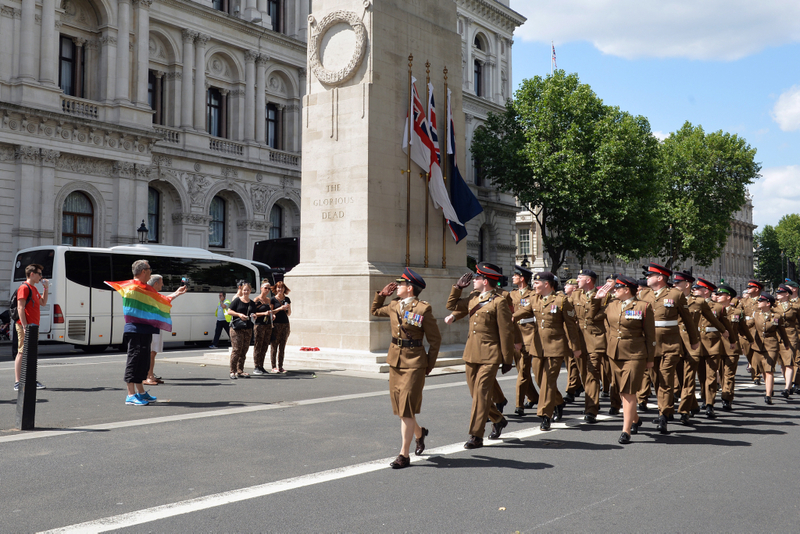 The Army contingent marches past the Cenotaph in this year's London Pride parade. I am proud to call myself an LGBT ally. If the Armed Forces are to remain among the best in the world, we must recruit and retain people from across society and enable all our personnel to reach their full potential. This means being able to demonstrate that we are an inclusive organisation that values the contributions of staff from all backgrounds, and will create an environment in which they can thrive.